(Newser) – A potentially life-changing development for those who suffer from type 1 diabetes, the more serious form of the disease: A vaccine used for decades to treat tuberculosis might not only reduce the need for daily insulin shots but actually reverse the disease itself, reports Bloomberg. Type 1 diabetics need daily injections because their own immune system goes haywire and kills pancreatic cells that produce insulin. 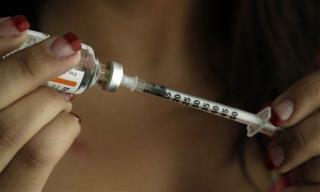 The TB vaccine, it turns out, kills those insulin-attacking cells, according to a small-scale study. We're ready for a cure in our house! I pray they're onto something! If that were true, anyone who got a vaccination in the past few decades should not get diabetes, sounds like hooey to me. Type 1 is a killer. There's lots of it in my fam and I've seen its devastation. Please fast-track these tests and get this vaccine approved for use in diabetes ASAP if it works. Of course, meanwhile the drug companies will be increasing its price 10,000%.